As I’m a part of real estate industry, Property hoarding always caught my attention. You may be noticed “No EMI Till possession, 6.99 % of interest rate, just pay 1 %, 3%, 5%, Etc and booked your dream home”. It seems to be a magical offer for us. You may think that developer is helping you in buying your dream home. Hold on and remember that nothing comes for free! It’s Golden Rule of Finance “There are No Free Lunches in this World”. This Magical offer is known as “Subvention Scheme”. The word Subvention is Originated from Latin Word Subvenire (Assist), late Middle English (in the sense “Provision for help”) from old French. Subvention schemes is one such payment related scheme that has gained significant popularity in recent times. However, considering the risks involved, these schemes were banned by the Reserve Bank of India (RBI) in September, 2013. But these were reintroduced with slight variations in payment plans. There are different variants in scheme like 15-75-10, 15-80-5 and 10:70:10:10. The most demanded ones- 80:20 and 75:25 were banned by the RBI. You must have observed that Housing Finance Companies are taking lead to promote such schemes as they are not governed by RBI. In few cases, bulk payment is released upfront to the builder by HFC’s so that builder promotes Home Loan of that particular HFC. Many buyer get confuse between construction plan, payment option, possession linked Plan and subvention scheme. By offering multiple payment plans and differential price, builder confuse buyer. In marketing, “Creating Confusion is best strategy” to convince buyer. Subvention scheme is an ‘innovative scheme’ introduced by a developers, where a customer buys an under-construction property for which they does not have to pay EMIs for a defined period or until they takes possession of the house. Under such schemes, buyer’s is financed by a bank. Buyer just pays a small amount i.e. Self finance to the developer for booking, while the remaining amount is paid by the bank directly to the developer. The equated monthly installments i.e. 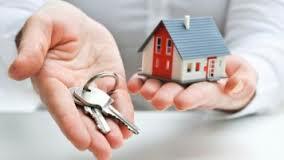 EMI are paid to the bank by the developer for a specified period or till the buyer gets possession of the property. This is tripartite agreement between the buyer, the developer and the bank is signed. Usually, private and nationalized banks tie up with developers to offer loans for such subvention plans. How do I read Subvention Scheme? Let’s understand with an example of popular 10:80:10 schemes. In this, a buyer will pay 10 per cent of the Flat cost as a Self Finance to the developer at the time of booking. Bank / HFC will pay 80% to Developer in various stage of construction i.e. Slab Manner. The developer will pay the EMIs to the bank till possession and finally the remaining 10 per cent will be paid by buyer at the time of possession. How it’s beneficial for Builder / Developer? The scheme proves beneficial for builders/developers as they can get access to the funds for the project at a much cheaper rate of interest. 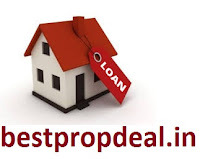 The funding comes in the form of home loans which are cheaper than commercial loans. Developers also enjoy credibility with the backing of banks. This is beneficial for them as well, as they only pay interests on behalf of the buyers. For banks too it serves as a beneficial scheme as they get access to a larger customer base and can impose application processing fees and prepayment charges on the customer. Also, in case of subvention scheme, time taken for loan processing is less. What are possible risks associated with Subvention Scheme? Now you must be wondering where the risk involved in Subvention Schemes is. Under Subvention Scheme, buyers will not be able to avail immediate tax benefit. The deduction for the interest paid up to Rs 2 Lakh for a self-occupied property during the pre-construction period can be claimed in five equal installments commencing from the financial year in which the construction of the property has been completed. If the property is not constructed within three years from the end of the financial year in which the loan was taken, the interest benefit would be reduced from Rs 2 Lakh to Rs 30,000. Under Subvention Scheme there are lots of taxation issues like whether TDS under section 194 IA is applicable or not. Reason being, Buyer is not paying the installment to bank but builder is paying. Secondly, whether any payment from builder to bank will be considered as income for buyer or not. Lastly, whether buyer can claim tax deduction under section 24(B) on Pre-EMI interest paid by the builder. Kindly clarify all such taxation issues. Most of the Subvention Schemes come with a lock in period. During this period, a buyer cannot sell the property. In a situation, where there is no lock-in period, the penalty for exit would be really high. Not many people know that under different payment plan i.e. possession linked plan, construction linked plan, subvention scheme etc the cost of property is different. The percentage of discount that a builder offers is already covered in the overall cost of property. Whenever you approach builder, you should never disclose your cards and understand all payment plans very well. Since developers have to pay the EMIs, they usually tend to jack up the property cost. Thus, always compare the property prices with and without scheme. If builder defaults payment of EMI on time, in credit information records, the buyer becomes defaulter as the loan is on buyer’s name. This is the biggest drawback of Subvention Scheme. It is very difficult to ensure whether builder is paying EMI on time or not. Buyers’ understanding of “NO EMI for X No. of Months” is that there is No EMI payment to Bank / HFC. Fact of the matter is that builder has to pay Pre-EMI on behalf of buyer. By handing over key of your CIBIL Score to builder, you are taking huge credit risk. Subvention schemes involves a tripartite agreement, i.e., between Developer / Builder, buyer and the Bank. Builder only share Application form along with brief T&C document. Most of the commitments from builders end are oral in nature. Lot of finer details about the scheme is not included in application form. It gives impression to buyer that he is getting one of the best deals in this world. Builder is reluctant to share agreement copy before initial 10% or 15% Booking Amount is paid. It is absolutely necessary to understand the terms and conditions in agreement before opting for Subvention Scheme. The catch lies in the fine print of the agreement. Many buyer sign without going through the scheme details and then cry foul play. Do remember that entire risk in this transaction rests with the buyer. Thus, check the fine prints of about scheme’s terms and conditions carefully. Read between the lines and ask the builder to give everything in written. In many cases, I observed that buyers were not aware that EMI Holiday is for limited period. Mostly builders “Sell” Subvention Scheme as No EMI / EMI Holiday till possession. You must be wondering How they do it? Suppose you are availing Subvention Scheme in Sep’15. Builder will mention projected possession date as Mar’17 and EMI Holiday is of 18 months. Technically builder is right that there is “NO EMI TILL POSSESSION“. Problem starts if there is delay in project. If a developer delays a project, then the burden of the entire loan falls on the buyer. Moreover, soon after the subvention period is over, the EMIs on the 80 per cent loan starts. Thus, if the project gets delayed, and the buyer is staying on rent, he has to pay rent as well as EMIs. If there is delay in project, the cost of property will increase exponentially for buyer. All the benefits of Subvention Scheme will wipe off in few months. Secondly, in case of delay and after EMI holiday period buyer may find it difficult to pay Pre-EMI. This is one of the key reasons for default on Home Loan. Normally builders put onus on delay in obtaining Government approvals for delay in project therefore it is advisable to opt for subvention scheme only when all government approvals are in place. Though builders put penalty clause for delay but enforcement of such clauses is next to impossible. Couple of Government Approvals are intentionally kept pending to avoid penalty for delay. I will request you to check thoroughly all details and reputation of builder (i.e. history of builder and track record of completion of project ) before signing below to such kind of Scheme.